A. On Friday, 09th February, 2018 at Hotel Mayura, Raipur. The schedule with Brief information is attached along with the E-Flyer and is self-explanatory.However, please note that the threshold for Eligibility in point (B) of the broad details of the programme in the previous mail, was inadvertently mentioned. As per the directives of FSSAI the eligibility of the participant should be as under. Please note that you are suppose to Log in and enrol yourself online on the FSSAI- FoSTaC (Food Safety Training andCertification) Portal, which will provide all the related information at one platform about this course. Furthermore, the user manual which has the link for registration giving details of functionality of Fostac Portal for Training programme is attached herewith for your necessary action, so that, subject to the parameters mentioned in the brief pertaining to your qualifications you would be able to successfully register / enroll. Upon you being eligible you would get an “Admit Card”. Each session will be conducted with a maximum of 30-35 participants. (1) Bachelors / Diploma in Hotel Management / Nutrition / Science / Food Science related Discipline. 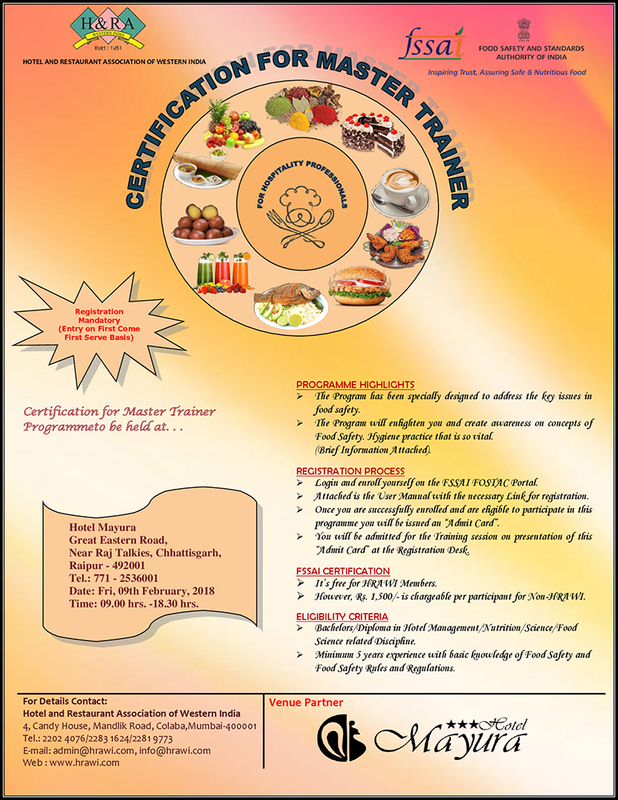 (2) Minimum 5 years experience in Food Safety Training with basic knowledge of FSSAI Act, Rules & Regulations. It’s free for HRAWI Members. However, Rs. 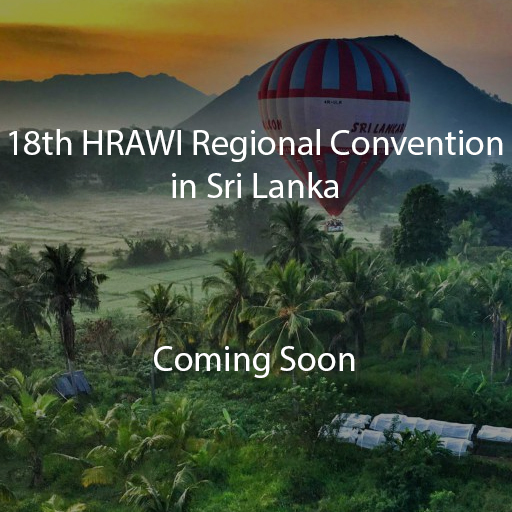 1,500/- is chargeable per participant for Non-HRAWI Members. · Attached is the User Manual with the necessary Link for registration. · While doing so upload a photo of the participants. · Once you are successfully enrolled and are eligible to participate in this programme you will be issued an “Admit Card”. · You will be admitted for the Training session on presentation of this “Admit Card” at the Registration desk. On Friday, 09th February, 2018 - 9.00 am to 6.30pm 3 breaks morning tea, lunch break and evening tea. As we have limited seats, I have to request you, to please do register for this Programme at the earliest. This will be of great value to your esteemed Hotels and Restaurants.